Aaaaah! 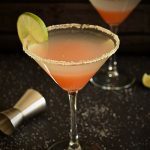 It’s 4 days to Christmas and I have been a bit slow with posting this Christmas Margarita recipe! It’s been the usual mad December rush, as a self employed chef, this is the craziest time of the year for me. I was still doing some present shopping today, after my last job of the year! No more work after today, until next year, I declined all requests and fully intend to enjoy the holidays with the family! I wanted to make a margarita with some sort of Christmas spices and aroma. 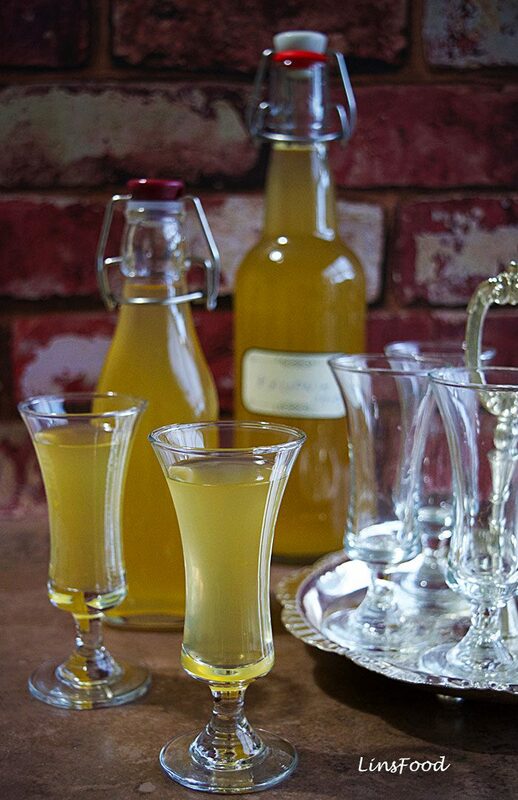 And when I made Krupnik, the Polish Spiced Vodka and Honey Liqueur last month (image below), I just knew I wanted to use it in the Christmas Margarita. It has the citrusy spicy aroma one associates with Christmas, and makes a delicious winter cocktail, no festivities needed! Krupnik is very easy to make, takes about 15 minutes, then you let it steep overnight and strain. It’s perfect to drink immediately, but also improves after a week or few. 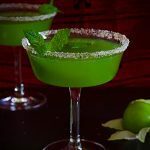 So you still have time to make the krupnik, then the Christmas margarita! You get 2 drinks for the price of one! Click here for the Krupnik recipe. 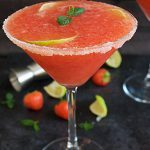 So if you fancy a new Christmas cocktail recipe, here’s the Christmas Margarita recipe, are you a fan of margaritas? Until I see you again, have a wonderful Christmas! 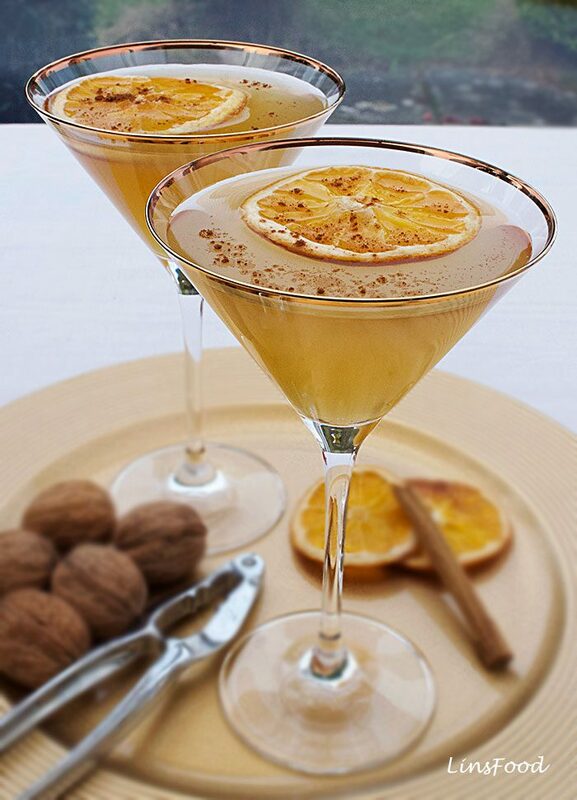 Christmas Margarita, festive margarita made with Polish Krupnik, full of Christmas aroma. Mix the vodka, krupnik, orange juice and honey together and set aside. Taste it. Add more honey if you like your margaritas sweet like I do. You might even want to double up on the krupnik, taste as you go. Mix the cinnamon and salt in a saucer. Lightly wet the rim of your cocktail glass and coat the rim with the salt and cinnamon. Pour the prepared drink into the glass and enjoy. We use krupnik as a cold remedy! That’s awesome Rick, I’ve heard rumours about that! And thank you! This is a really amazing drink, Azlin! I’ve pencilled this for our New Year’s party. Making the Krupnik tomorrow, thanks. This sounds like a drink that I should add to my cocktail recipes. Such a refreshing drink. Thanks for sharing your excellent info and recipe. Thank you, I hope you enjoyed the holidays! Thank you, Chef! I’ve been looking around for something different to make this holiday. I believe I’ve got everything I need to make the Krupnik, as we just got a couple of bottles of vodka. I’m getting on it today! Then the Margarita on Boxing Day for friends. Merry Christmas! Awesome. I hope you enjoyed the holidays. How did it go? Wow, this is great. I just love how you come up with the cocktails on your site. I love all the other original recipes too! Loving the sound of that Polish drink. Off to get some vodka and honey! Cheers and happy Christmas! Thanks Mick, Hope you had a good Christmas. How did it go? Love margaritas! My guests are going to enjoy this over Christmas. Cheers! Thank you, Dan! Have a wonderful Christmas!